With more than 275 grape wineries throughout the province, there is always something new and exciting going on! 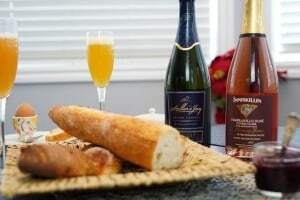 On any given day you can indulge in vineyard tours, festival tastings, winemakers’ dinners, cooking classes and much more. These events offer you the chance to get up close and personal with your favourite winemakers and top local chefs and they are sure to dazzle the palate and engage all your senses. 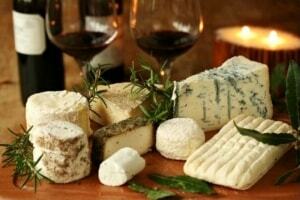 Be sure to check back regularly to see the latest winery events. To celebrate BC Wine Month we will be pouring Hester Creek, Gehringer, Dirty Laundry and Thornhaven on April 26 and 27 between 12pm and 6pm. Stop in at any of our Save On Stores that sell wine!! If you miss out the wines will be getting poured intermittently for the month of April! 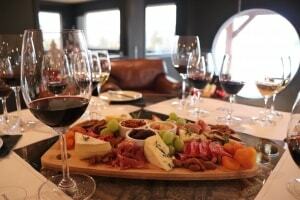 In an intimate guest setting, Visit the cellars of Laughing Stock Vineyards to enjoy a structured exclusive tasting, then off to Black Sage Hall for an educational Wine & Food Pairing with our wine educators, fi nishing the day with Steve Ward at the Great Estates Wine Experience Centre to enjoy a selection of the “Best of the South Okanagan” wine & food stations! Come join us at Noble Ridge on April 27th for a fun afternoon of Spring Sips and Silk. Sip a glass of our Rose while creating your own one of a kind water-marbled silk scarf. Creative Marbling Co will be on hand to help curate you through the ancient tradition of water marbling to create your own unique work of art on silk. Join us April 27th for a truly mesmerizing and unexpected afternoon where you will create your own one of a kind water-marbled silk scarf. Sip a glass of our Rose while creating your own one of a kind water-marbled silk scarf. 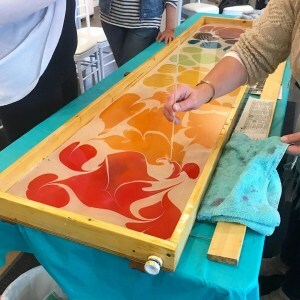 Creative Marbling Co. will be on hand to help curate you through the ancient tradition of water marbling to create your own unique work of art on silk. 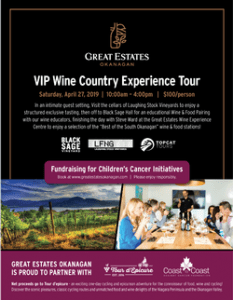 April 27 - Downtown Kelowna Wineries: Sandhill Wines (11 a.m. to 2 p.m.) Ricco Bambino (2:30 to 5:30 p.m.) Join us to enjoy a taste of the Okanagan and to celebrate #BCWine! Frequency: Recurring weekly on Saturday Time: 11:00 AM Price: Free In celebration of #BCWineMonth, several of our wine trails' partners will be hosting complimentary tastings at the Kelowna Visitor Centre. Take your knowledge of food and wine pairing to the next level, with Okanagan College's Pastry Chef Daniel Capadouca. 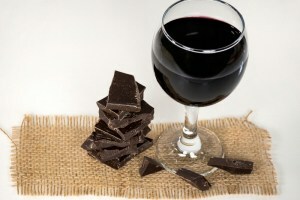 Enjoy two of life's great pleasures...wine and chocolate! Takes place in our B.C. Wine Information Society Sensory Centre. Call 250-492-4305 to register. ARE YOU A BCWI MEMBER AND HAVE A WINE EVENT YOU WANT LISTED? To display your wine event on our event calendar, complete our online Event Submission form. Events published on our site are considered open to the public and not intended for focus to industry personnel. 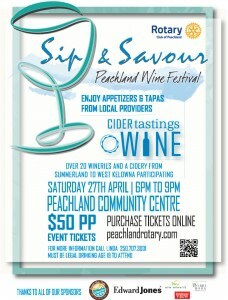 All events must have a BC wine component to be eligible for inclusion. Submissions will not be displayed immediately but will be held for moderation until approved by BCWI .